the quality of the book is very good. The print is good. Want more such books for stories also. Book is cute. Kids just love it. They have mentioned the shades so that kids can learn more about the colours. the portal delivered on the second day. I wanted it on the next day itself. Portal should have quick delivery for books atleast. 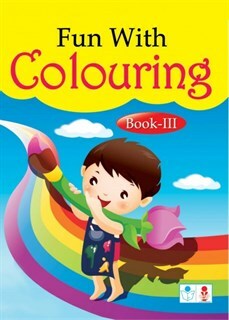 nowadays colouring books are also very costly. 25/- is very cheap and number of pages is also good. Kids should get it before stock gets finished. the portal should sell more such colouring books. It is easy to order online at a stretch. It should also have more variety. My kid just loves this book. The pictures are so pleasing to the eyes. I have got all the volumes of this book. Get it now. the number of pages is very less. The publication should have more pages so that kids can enjoy for more days. The portal has delivered nicely. The package is good and it is not folded in the tips. It is brand new. Thankyou.